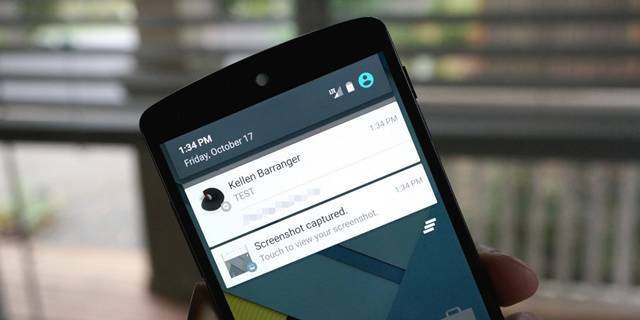 Android Reborn – Many people do find it necessary to get any notification in the status bar of their Android. However, have you ever experienced it stop showing up there? Who knows that your phone has its settings changed by anyone or you did it yourself accidentally? If that is the case with you then, we have a way of how to fix Android notification not showing in status bar. You will fix this issue easily here. When it comes to the change of the settings on your Android that makes this issue to happen, we would say that it is because the notification status for the apps has been disabled. You don’t need the help of other applications to fix this problem. It is because the problem simply lies in the settings after all. So, there is no need to think that hard to enable Android notifications in the status bar. What do we need to do then? Rest assured! You will not need to follow hard-to-understand procedure here to fix android notification bar problem. Just by doing some steps here below; you will be able to get your notifications back in the status bar of your Android. Go to the App Settings on your Android. Look for Status Bar Notifications. Select which notification you want to show up. This procedure should merely take some seconds from you. For a note, you can follow this procedure to enable all app notifications, enable some of them, disable all notifications, and disable some of them. Follow this procedure first when your Android notifications not showing up in status bar. You might just have them disabled accidentally or without you even knowing it. Do give it a try!